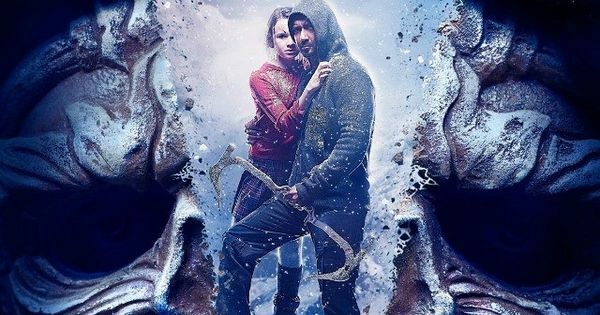 Shivaay 9th Day Collection Box Office Report: Shivaay movie featuring Ajay Devgn in the leading is doing whatever needed to cross 100 crore rupees mark before the second weekend ends. The movie lost an excellent grip on the box office because of the overseas market. Shivay collection didn’t perform very well in the overseas where Ae Dil Hai Mushkil collection continues to hold the big grip resulting in a big loss for the Ajay Devgn movie from the international market. The craze of Aishwarya Rai and Anushka Sharma had increased the numbers against Ajay Devgn who didn’t have any other big Hollywood name in his film. Shivaay box office collections took a significant growth after the first weekend. During the weekend, the film had earned some numbers, but that were not enough to be called even a ‘hit’ at the BO. The opening was low as expected on the Dhanteras Day with mere 10 crore rupees earnings, but drop to 8 crore rupees on the Diwali holiday was incredibly shocking and unbelievable. The Diwali festival is usually considered as a lucky day for Bollywood box office because films like Krrish 3 and Happy New Year had earned a great on the day. After failing from many aspects, Shivaay collection will be able to reach the figure of 100 crores by the end of the 2nd weekend. This is definitely not a good sign for a movie with a budget of 110 crore rupees itself. The movie had shocked the entertainment industry, and actors may look forward new schedule for releasing the films from now. Even the best critics of Ajay Devgn had admitted that overall story of Shivaay was better than the competitor. At the same time, lovers of Ajay Devgn are also criticizing the actor for being a director in his own movie as the length of the screenplay was dragged unnecessarily in the first half and second half as well. Also See: Ae Dil Hai Mushkil Collection. The occupancy improved during the afternoon and evening shows a bit more, and expected rate of 42% was achieved in the metro cities. The night shows are houseful in mass centers including Delhi, Mumbai, and Bangalore because of Diwali holiday. Shivaay Saturday BOC was also good enough considering holiday on a subsequent day. In the morning shows, it was seen that overall fill out rate of 30% was observed followed by night shows with full house episodes in metro cities. Shivaay sixth and seventh-day collection reports also went positive considering the quantum of response film had received in early days. It’s expected this movie will again rise during this weekend and earn another 40 crore rupees by the end of 2nd week. For Shivaay ninth Day Collection, The overall occupancy rate of 31% for the morning shows, 20% in the noon and 25% in the night shows was observed by our team around the various centers. Film had earned 7 crores on the first day of the 2nd weekend since there was no other release. Seen Shivaay movie. Superb acting by Ajay Sir. Must watch movie. Superb Movie Yaar….Ajay sir is a really very versatile actor! shivaay is super movie. May be it will be block bluster . Very nic movie shivaay thanks ajay sir ……………………. Shivaay is best film, thanks Ajay sir. Shivaay is a super movie a dil hai mushkil bakwas thanks ajay sir. Ajay bhai ki ab tak ke career ki sabse best movie hai. Bro aap sabhi log movie theater mein ja kar jarur dekhne pls. Thank u.